Our garage door professionals have developed a great reputation in Cloverleaf for exceptional garage door maintenance and installation. At Action Garage Door, we specialize in quality craftsmanship with excellent customer service. We have a garage door that will fit any home or budget. Our services in Cloverleaf strive to exceed all customer expectations, one garage door at a time. For years, Action Garage Door has served the great residents of Cloverleaf with the best garage door company in Texas. We understand the need for a quality garage door that works. We are a family-owned business that takes pride in taking care of our neighbors. With over 30 years of customer satisfaction, you can take comfort in knowing the service you are getting from Action Garage Door is top-notch. We only choose the highest quality products for our installation and repair. 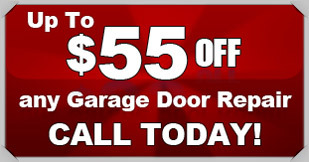 Action Garage Door has a large variety of door materials to choose from. From metal to wood, we got you covered. With the unpredictable weather in Cloverleaf, we understand that your garage doors need to withstand the elements in order to provide long-lasting service. If you want a safe, quality garage door, look no further than Action Garage Door in Cloverleaf. To speak to one of our qualified and knowledgeable garage door specialists, give us a call or contact us online to set up an appointment today.